The idea that you can learn to “speed read” – that is, learn to drastically increase your reading speed and plow through more books than you ever thought possible – has been around for a long time. 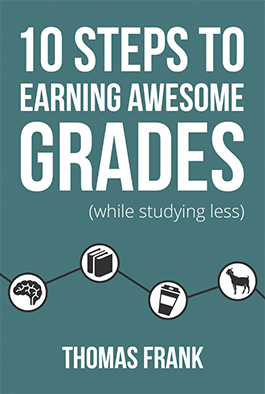 You’ll probably see a flyer on campus at some point during college advertising a speed reading seminar, making claims that you can learn to read 900wpm, 1,200wpm, or more, and countless bloggers have talked about the supposed techniques you can use to do it. Reading is possible through… wait for it… eye movement. Crazy, I know. But did you know that there are actually several different types of eye movements? For instance, when we’re tracking a moving subject, we use an eye movement type called smooth pursuit. There’s also vergence, which happens when the eyes move toward each other to focus on a subject in the middle of our vision, as well as vestibular eye movement, which is what your eyes do when you’re moving your head but keeping your gaze fixed on a single point. When your eye stops and focuses on the text, that’s called a fixation. Fovea – the area right at the center of the retina. Spans about 2 visual degrees. Your peripheral vision isn’t very detailed; it can pick up color and movement, but not a whole lot of clear detail. The fovea, by contrast, picks up detail really well – which is critical for reading. Most of what can be clearly understood when you’re reading needs to be in the foveal area – a letter or two on either side can be in the parafoveal area and still be read, but that’s it. The average fixation takes 225ms when you’re reading silently, though this is an average – the range is typically anything between 100 and 500ms. Furthermore, reading speed isn’t just determined by fixations and saccades – there’s also the cognitive processing that has to go on in order for you to actually understand whatever you’re reading. We’ll get more into cognition and how the brain learns in future videos, but for now I want to make a brief note about your working memory, which is what you’re using when you read. Research has shown that our working memory can really only handle four distinct “chunks” at a time – a chunk being a bundle of information connected through some sort of meaning. Chunks for difficult or new material will be small, while chunks for material you’re familiar with can be bigger. For each, though, the concept here is the same; your brain can only handle so many at a time. Reading too quickly results in a loss of comprehension. A good figure to keep in mind is that pauses for comprehension take about 300-500ms on average. Now, even though we have data about the average time saccades, fixations, and pauses for cognition last, it’s not as simple as adding them up to determine reading speed. A number of other factors come into play. Research has shown that readers fixate on about 85% of the content words when they read, but only about 35% of the function words. On the other hand, reading also involves a lot of regression – going back to read over previous read material. Some regressions are small corrections that happen when a saccade’s distance is too long, while longer regressions happen when material wasn’t understood the first time. For skilled readers, about 15% of their reading time will involve regressions. Now that you have a grasp of the main factors that go into the process of reading, let’s look at what a realistic reading speed really is. Speed reading “gurus” will often claim you can boost your reading speed to 1,200 wpm – a figure many have said John F. Kennedy could read at – or even higher. But according to Keith Rayner, a psycholinguist at the University of Massachusetts Amherst, observations of college-level readers reveal that most read at a rate of between 200-400 words per minute. Lastly, there’s the concept of reading flexibility. 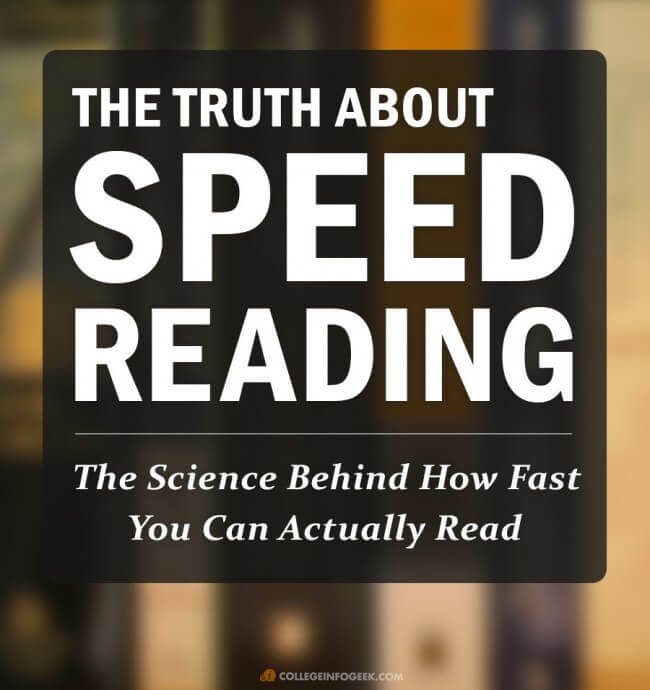 A lot of the advice on speed reading out there assumes that you should be reading at a constant rate all the time, but that’s not how it works in the real world. When concepts are more closely presented, or you’re going through new material, your reading rate will slow down. And when you’re familiar with the text, or the concepts are more spaced apart, you’ll be able to read more quickly without a loss of comprehension. So here’s the final conclusion I’d like for you to take from this video: If you’re reading between 200-400 words per minute, you’re in the norm and are doing fine. If you’re near the lower end of that range, there are some ways you can likely improve your speed (which I’ll cover in a couple weeks), but don’t worry too much. Speed readers who claim to read any faster than 400, maybe 500 words per minute are doing so in exchange for a loss of comprehension. In general, reading at lower comprehension rates should be considered skimming. And that’s what speed reading is. It’s skimming. After a certain, reasonable point, there is an inverse relationship between reading speed and reading comprehension. Which is more important to you? So that’s where we’ll end our examination of speed reading this week; if you’d like to dig deeper into the research I’ve done, I’ve listed a LOT of sources down in the Video Notes section. Next week, we’ll look at some common speed reading techniques, and see if they do anything to improve reading speeds. Finally, we’ll wrap up this series with a video on how to ACTUALLY improve your reading speeds. Looking for More Reading Tips? 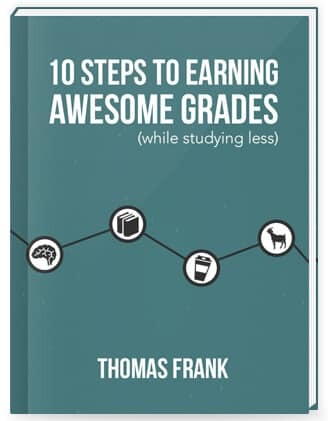 If you’d like to find more information on reading textbooks, you’ll find it in my 100+ page book called 10 Steps to Earning Awesome Grades (While Studying Less). What are your thoughts on speed reading? Even with all this data, there are still people who are in favor of trying to learn speed reading (sane people like my friend Zach – we had a debate on this – and less-than-sane people).